Who can resist Beatrix Potter’s adorable Peter Rabbit? 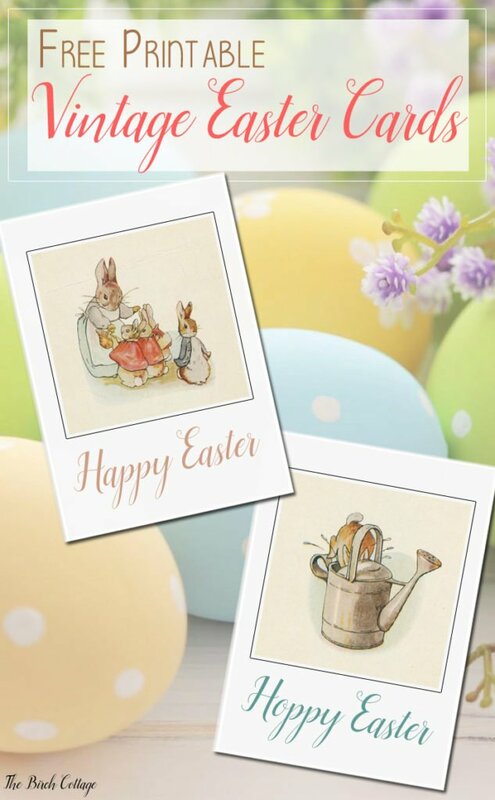 Download free Peter Rabbit Gift Tags and other Easter printables on The Birch Cottage blog. I was thinking about Easter this weekend as my granddaughters participated in an Easter Egg Hunt at church. Then it got me to thinking about all the different Easter themed printables I’ve shared here on The Birch Cottage blog over the past few years. I create a lot of free printables for my readers – just like you! I love creating them and sharing them with you. As a little thank you for subscribing to my newsletter, I’ve created an entire library of printable labels, gift tags, prints, note cards and more called the “Subscribers Resource Library”. Nothing like reminding you at the last minute, but here are some of the free Easter printables you can find in the Subscribers Resource Library:. 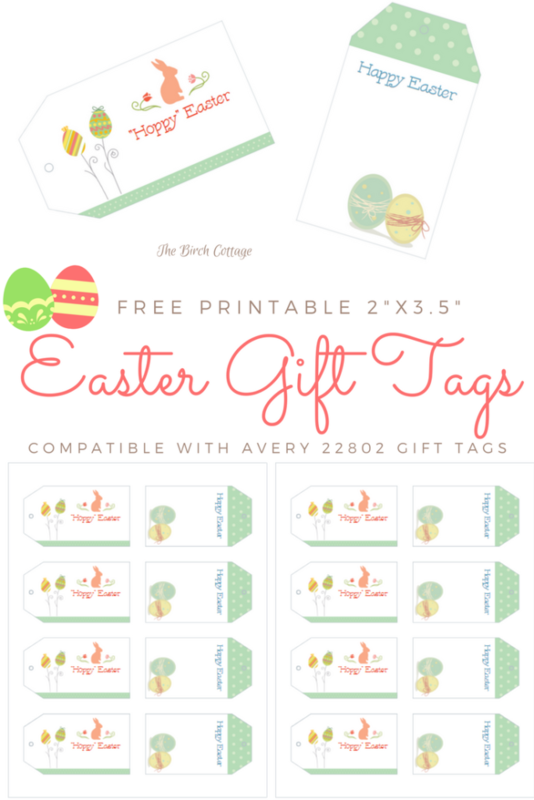 These Easter Gift Tags are compatible with Avery 22802 printable gift tags. You can also simply print them on cardstock and then cut along the outline. You may also want to use a hole punch with them so you can attach them to basket handles or gifts with ribbon or twine. This He is Risen print can be printed on regular printer paper or nice cardstock. I always recommend printing these wall decor prints on cardstock and then you can just trim the print, if necessary to fit an 8″x 10″ frame. This particular set of free printable Easter cards are available to subscribers of Kenarry: Ideas for the Home. Once a month, I share a creative idea, free printable or family friendly recipe on Kenarry. 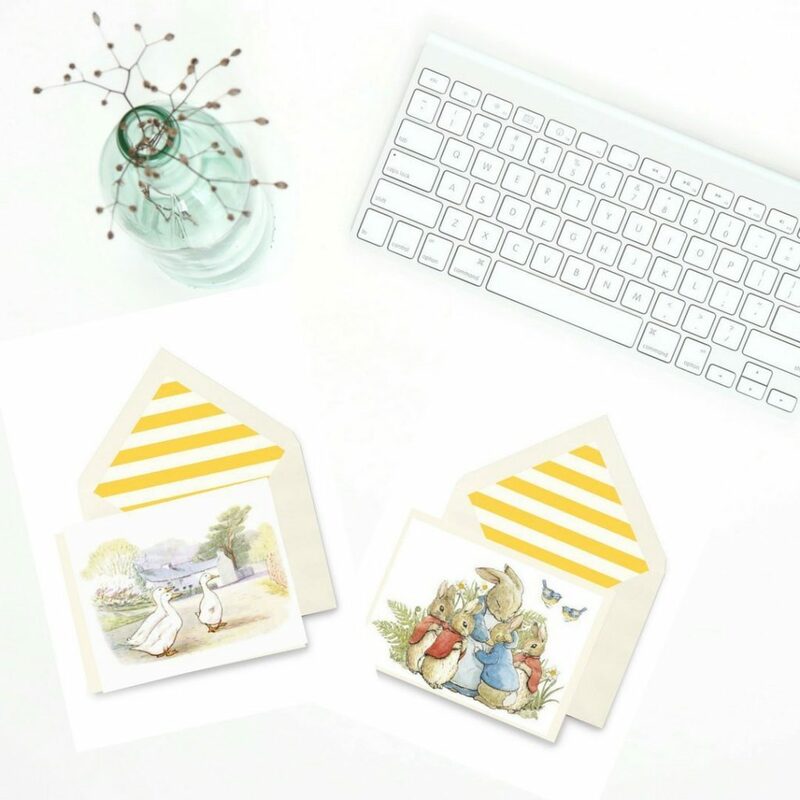 In addition to this set of vintage Easter note cards, Kenarry also has a printable resource library that’s just absolutely overflowing with all sorts of free printables. Plus, by being a subscriber, you’ll get fresh ideas for the home delivered straight to your inbox on a weekly basis. I just love working with Carrie and Kent, the creatives behind Kenarry: Ideas for the Home and I think you’ll love all the great ideas they share! So “hop” on over to Kenarry and subscribe so you can download these free vintage Easter cards and so much more! In addition to the free printables I make available here on The Birch Cottage blog, I sometimes make additional printables, as well as printable crochet and sewing patterns available for purchase in my Etsy shop, The Birch Cottage Shop. These note cards were designed to be printed on A2 sized cardstock and used with A2 envelopes. What I really like about printable note cards (besides the adorable designs) is that ability to print a few to have on hand for any time I need them. Since this set of cards doesn’t say “happy Easter” on them, they really can be used any time and for just about any occasion. That brings us to the free set of Beatrix Potter’s Peter Rabbit printable gift tags that I’m making available today. Again, these gift tags are available exclusively to subscribers of The Birch Cottage newsletter (you can subscribe up above). These gift tags are compatible with Avery 22802 2″x3-1/2″ Gift Tags. (just like the “Hoppy Easter” gift tags I shared last year). For best results, I recommend using the Avery products. You can also print them on cardstock and cut them out. If you use cardstock, you may also want to punch a hole in the top of the gift tags. 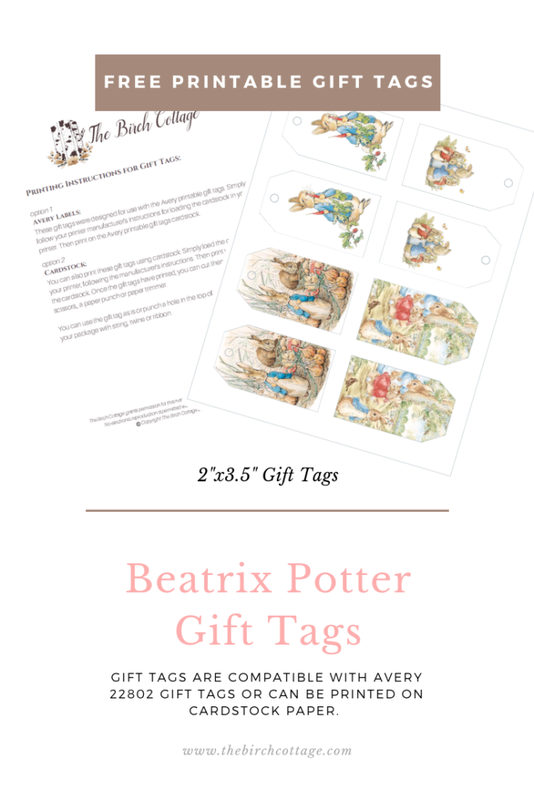 I hope you will enjoy these adorable Beatrix Potter Peter Rabbit Gift Tags. (By the way, the images used are part of the public domain. ).